Legacy Limousine and Luxury Coaches specializes in designing, renovating, engineering and customizing executive coaches and luxury limos to suit your preference. 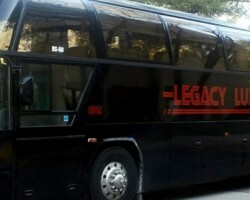 They also provide rental services for limousines, charter buses, limo buses and luxury coaches. They are committed to providing superior customer service, community support and class transportation. Legacy’s staff has years of experience in building construction, engineering design and customer service. The staff is driven to provide a first class top quality service in Virginia. They won the 2015 Small Business of the Year Award. If you’re in Chesapeake and looking for limo rentals services in Chesapeake, VA, service that has modern fleet, look no further than Affinity Limousine Services. Affinity has more than 40 years of experience in providing luxurious limousine transportation. According to most reviews, they offer a memorable, personal experience accompanied with top notch customer service. They support Weddings, proms, Concerts, airport transportation, Winery tours, and Brewery tours. They will transport you anytime, whether at night or during the day. 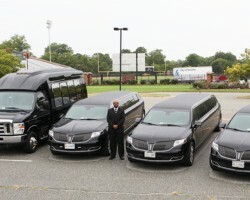 VA Executive Sedan & Limousine Services provides car and limo services in Chesapeake. Whether you require Limo services for a wedding, an unforgettable night out or other special event, VA Executive Sedan & Limousine services will be at your service. They also provide cheap corporate services in Chesapeake. Their team of specialists help customers in selecting the best limousines prior to the event. The limos are equipped with the latest GPS guidance to ensure that you arrive at your destination safely and on time.